The Unilin Hampton Bay Blackened Maple 8mm Thick x 4-7/8 in. Wide x 47-1/4 in. Length Laminate Flooring features an eased edge and rich embossed finish to offer the look of real hardwood flooring. The floating-click design helps make assembly quick and easy over your existing concrete or wooden subfloors. The flooring is ideal for indoor commercial and residential use and includes 19.13 sq. ft. per case. 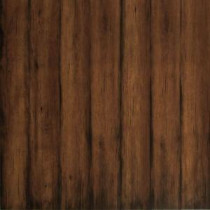 Buy online Hampton Bay Blackened Maple Laminate Flooring - 5 in. x 7 in. Take Home Sample HB-015229, leave review and share Your friends.